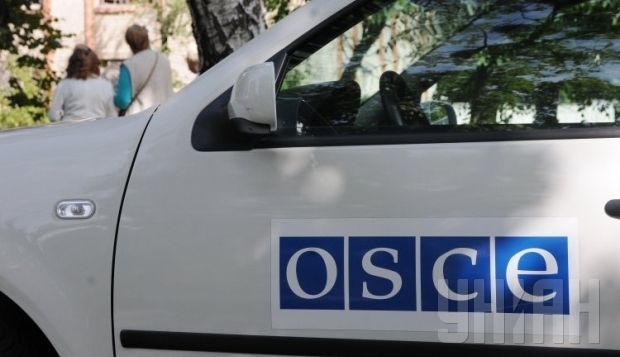 Press-center of Anti-Terrorist Operation (ATO) of Ukraine reports that OSCE observers and members of Joint Centre for Control and Co-ordination (JCCC) got under mortar fire from the side of illegal armed groups of so-called Lugansk People’s Republic. Today, June 7 2015, at 11:15 am near Shchastya city, about 10 km from Lugansk, terrorists shelled the area where OSCE observers and members of Joint Centre for Control and Co-ordination (JCCC) were located. Observers of SMM and JCCC were at the positions of Ukrainian Army and they were taking photos and measures of craters from the previous left from the previous attacks from the side of illegal armed groups. 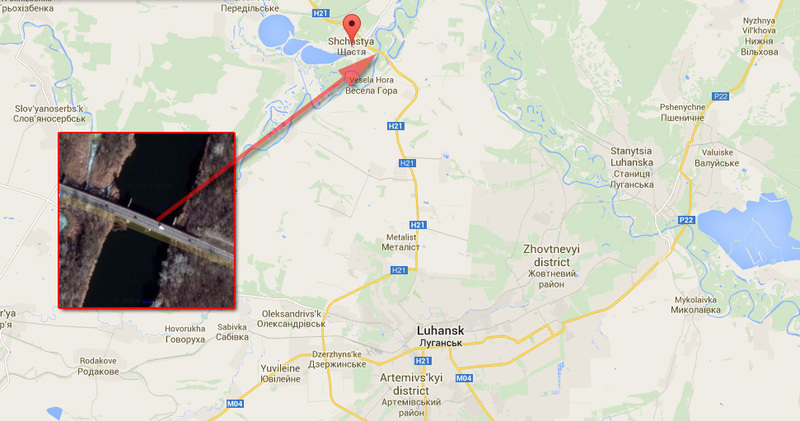 At that time terrorists started shelling UA positions near the bridge over Siverskiy Donets River using 82 mm mortars. Terrorists shelled from the direction of Vesela Hora village controlled by armed groups of so-called Lugansk People’s Republic. Mines exploded 200 meters away from observers. Members of monitoring group had to leave the area after the shelling started. Nobody was killed or wounded, the cars were not damaged. Terrorists are shelling positions of Ukrainian Army in that area every day, on June 5 and 6 they intensively used 120 mm and 82 mm mortars. JCCC reports that Minsk agreement is brutally violated by pro-Russian rebels and that is a threat to stop the conflict on the East of Ukraine in a peaceful way. Ukrainian Army positions are under attack in Lugansk Region. 2 soldiers wounded. 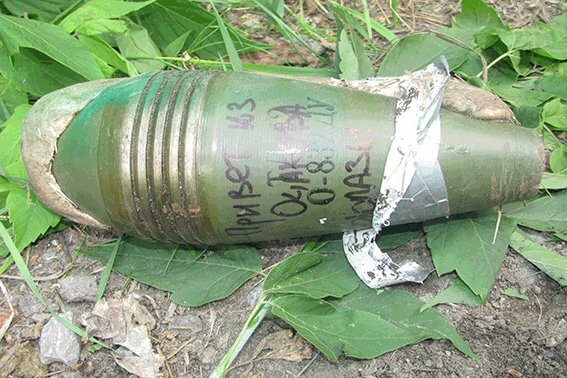 Illegal armed groups of so-called Lugansk People’s Republic continue to violate Minks cease-fire agreement and attack Ukrainian Army positions along the demarcation line using different type of weapon including mortars and grenade launchers. Two Ukrainian soldiers were wounded in the last 24 hours. Yesterday at about 9:30 pm terrorists shelled Ukrainian positions near Zolote city using automatic guns. They opened fire again near Zolote at 00:50 am from Sadoviy village controlled by Russian mercenaries. Terrorists used automatic grenade launcher AGS-17 and big caliber machine gun. Enemy sniper started shooting at 04:35 am from Kalynove. Positions of Ukrainian Army near Valuyske village (close to Stanytsia Luhanska) were shelled from the right side of Siverskiy Donets River with the use of AGS-17 and anti-aircraft gun. 2 Ukrainian soldiers were wounded. It was relatively quiet in Stanytsia Luhanska, only automatic guns were heard during the night. Terrorists shelled Ukrainian fortifications near Katerynivka village from the direction of Molodizhne. 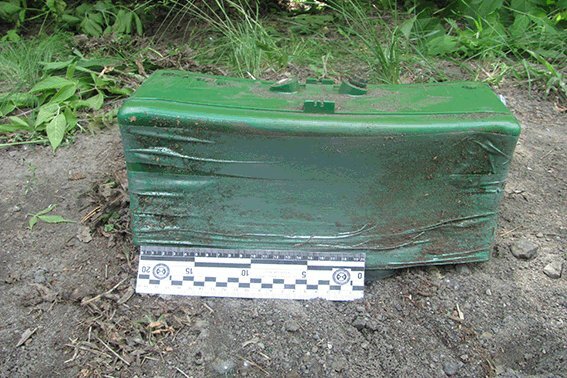 Russian mercenaries used mortars. “Zero” checkpoint near Rodyna village which is used to cross from Ukraine controlled to terrorists controlled territory was also shelled from automatic weapon and anti-tank riffle. Ukrainian positions in Krymske village were shelled in the area of tuberculosis dispensary. In the area of Bahmutka road checkpoint #29 was shelled. There was enemy UAV spotted in that area several times during the day. Pro-Russian terrorists used 82 mm mortars and AGS-17 shelling at Shchastya. There was fighting near the bridge over Siverskiy Donets almost all night. There is no information about casualties. Russian mercenaries continued to use UAV. Starting from 9:00 am till 10:30 am there was enemy UAV registered flying the route Popasna – Zolote – Hyrske – Nyzhne. At 13:05 UAV was moving from Pervomaisk to the direction of Zolote – Hyrske – Lysychansk. Ukrainian Army units together with construction companies continue to build fortifications at the positions along the demarcation line. Ukrainian soldiers are ready to stop Russian mercenaries attacks. 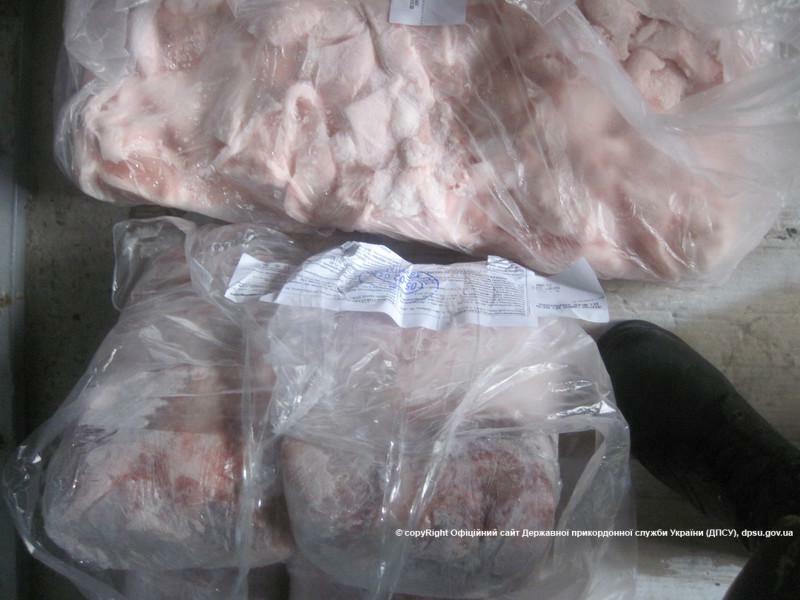 Smugglers were transporting meat from Brazil to occupied Lugansk via Russia. 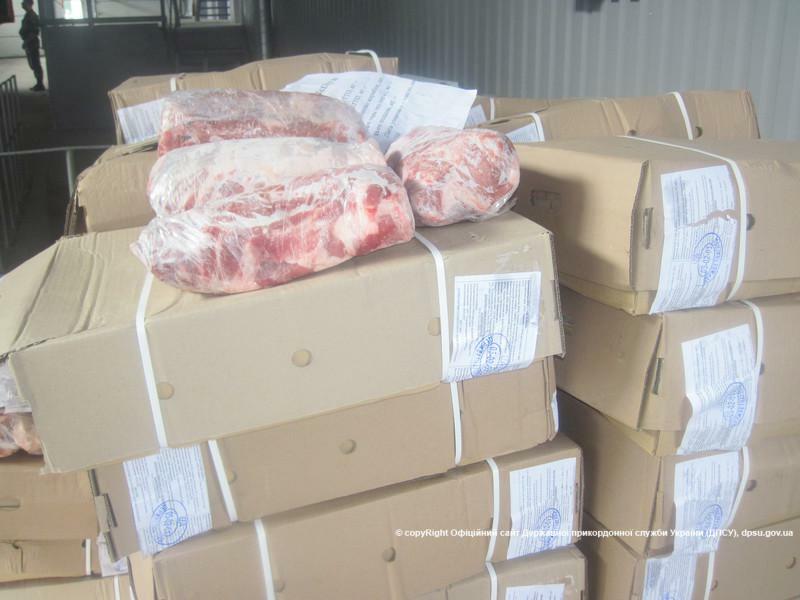 State Border Guard Service of Ukraine stopped illegal supply of meat to temporary occupied territories of Lugansk and Donetsk Regions. The meat was getting to Ukraine from Hungary and Brazil via border checkpoints on the West of Ukraine and via sea ports. After custom control meat was exported to Russian Federation as Ukrainian product via border checkpoints in Sumy Region. 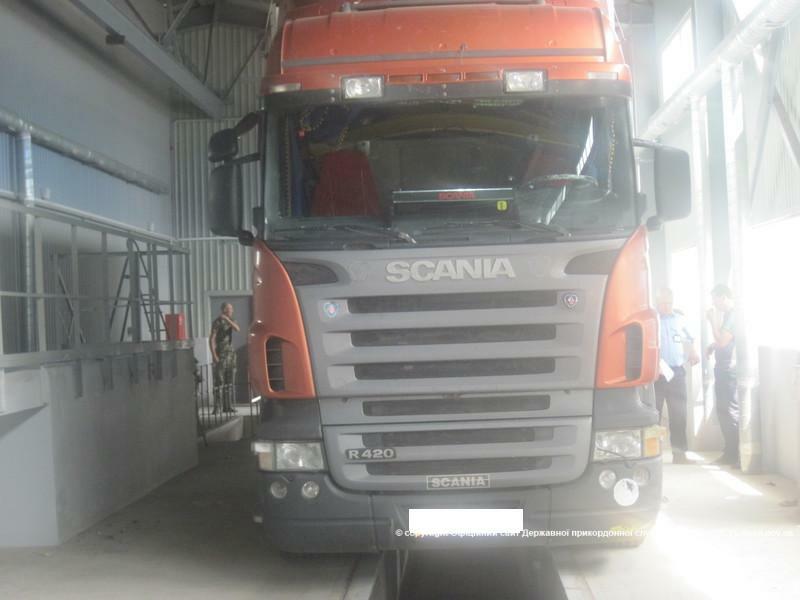 Next Russian authorities didn’t allow the import of that meat using different excuses and they were sending it back to Ukraine to Lugansk and Donetsk Regions via border checkpoints that are not controlled by Ukrainian authorities. 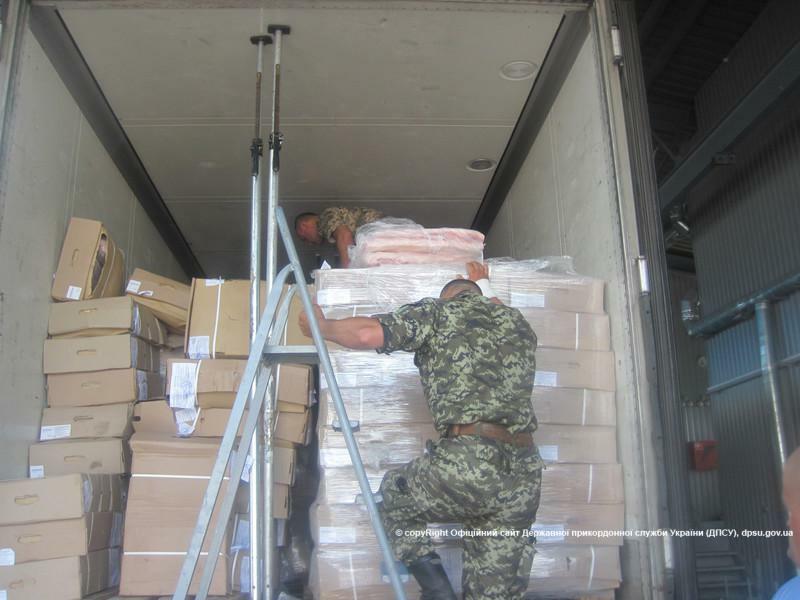 At the border control checkpoint “Bachivsk” border guards stopped 4 trucks with meat. Right after this information became public, Russian authorities said that they won’t allow the meat to pass by their checkpoints, because the license of the company that was doing the transportation had expired. Also the border guards informed prosecutor’s office and Security Service of Ukraine that people from custom control may be involved in smuggling. 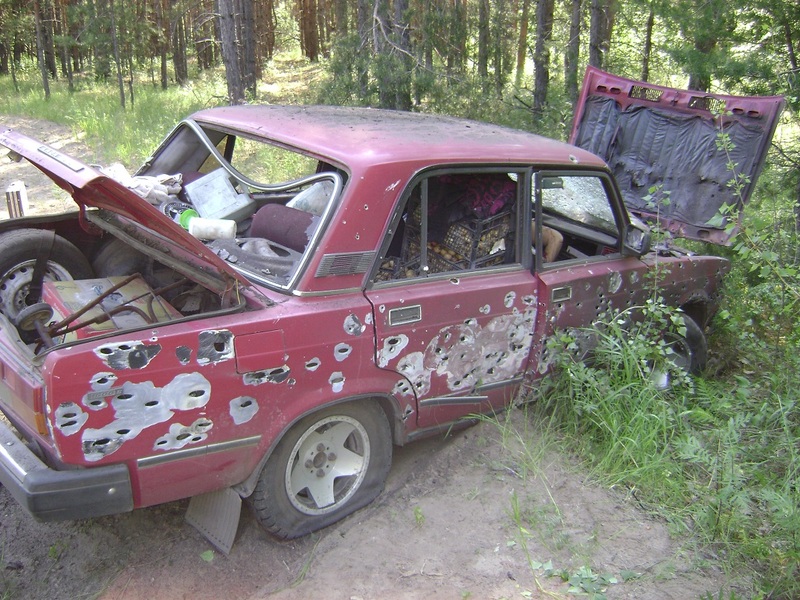 Terrorists blew up a car with civilians 12 km deep in Ukraine controlled territory. Yesterday at about 7am a couple of retired people, husband 67 y.o. and his wife 64 y.o., went from Kryakivka vilage to Novoaidar to sell some vegetables on a market there. In a forest between Kapitanove and Novookhtyrka their car was blown up. Both died. 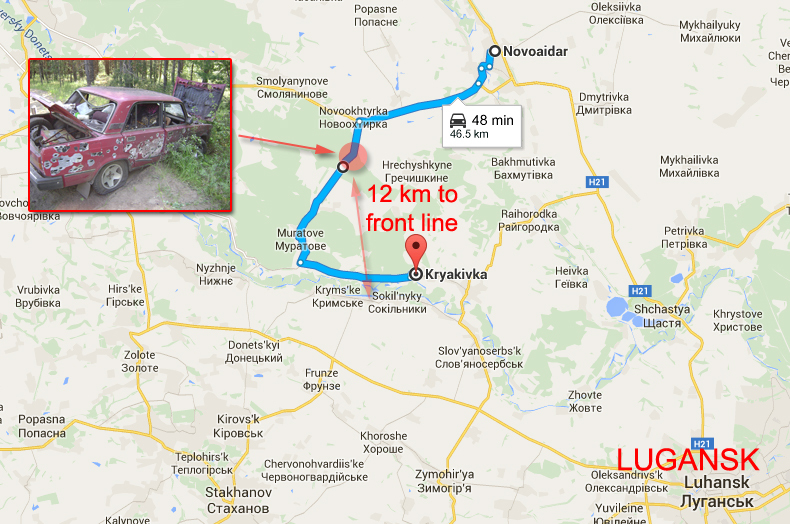 That happened about 12 km away from the demarcation line deep inside Ukraine controlled part of Lugansk Region. The car with dead people was found at 7:30 am by locals from Novookhtyrka village. They could clearly see from a distance that it was civilian vehicle with people, there was no sense to kill those people. It’s impossible to understand the logic of “Russian world” followers who get to Ukraine controlled territory and do such sabotage. Russia owned companies continue to supply their factories on occupied territories while Ukrainian government banned all traffic. Ukrainian soldiers of 12th Sq. 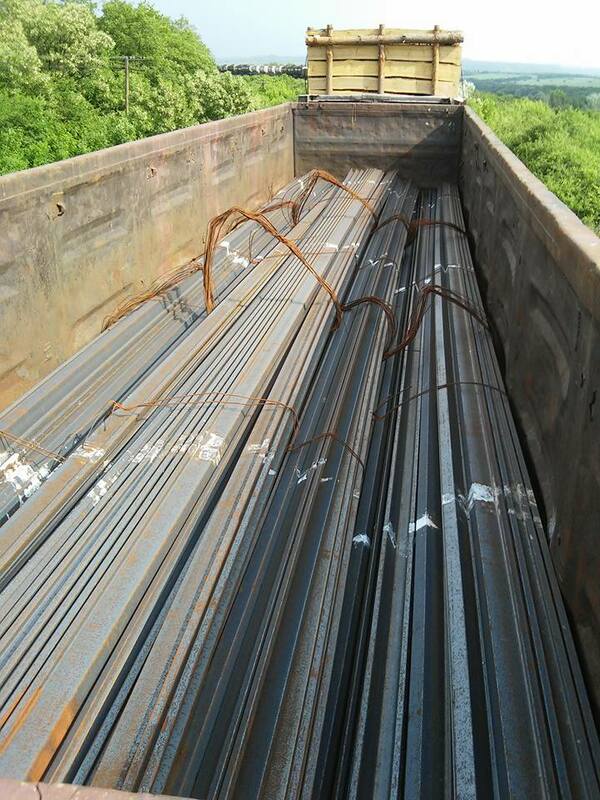 of 24th Brigade stopped train with construction materials and other goods near Orikhove village in Lugansk Region. The train was going to the territory controlled by so-called Lugansk People’s Republic. In total there were 52 wagons. Soldiers claim that there was construction timber from Chernihyv and Poltava Regions that was named firewood by documents. There were also metal products from “METINVEST” Company www.metinvestholding.com owned by Ukrainian oligarch Rinat Akhmetov and coal shipped from USA according to documents. Also there were tanks for liquid and gaseous substances. 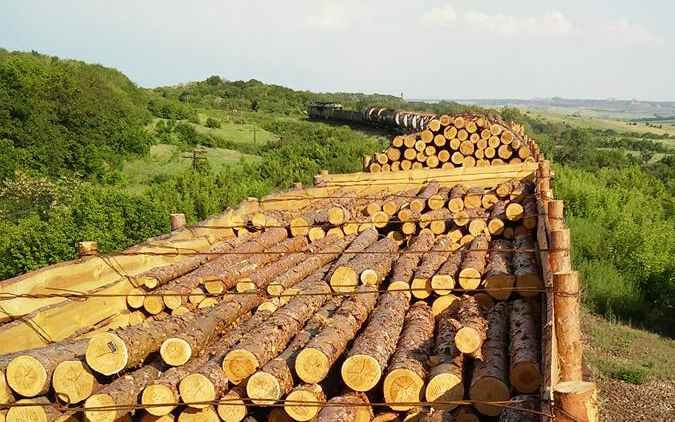 The type of construction timber that was there is usually used to build military fortifications, so the soldiers assumed that was cargo for pro-Russian terrorists who occupied part of Lugansk Region. More likely that train was going to Alchevsk located on occupied territory. There is PJSC «ALCHEVSKKOKS» www.akz.lg.ua still working there. It manufactures coke and other chemical products for iron and steel industry. The products manufactured by «ALCHEVSKKOKS» get delivered to “Dnepropetrovskiy Metallurgical Plant” www.dmkd.dp.ua located in Dneprodzerzhynsk city in Dnepropetrovsk Region by rail road. According to the news posted on «ALCHEVSKKOKS» website there was a meeting of shareholders of that company on the territory of “Dnepropetrovskiy Metallurgical Plant” on April 26 2015. Previously www.ukrrudprom.ua reported that Russian biggest steel production ISD Сorporation www.isd.com.ua that owns «ALCHEVSKKOKS» stopped and conserved production in Alchevsk at the end of 2014, they had to do that because of the deficit of coking coal. Starting from the beginning of 2015 2 out of 3 blast furnaces at “Dnepropetrovskiy Metallurgical Plant” were also stopped. This actually explains why there were Russian Railroad wagons there as well. 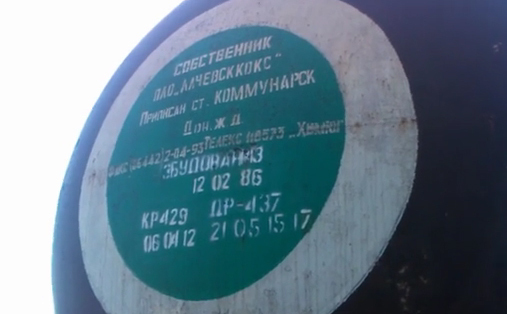 Those wagons are also owned by ISD Сorporation that sent supply train to «ALCHEVSKKOKS». So Russia owned companies continue to work on occupied territories and they even use railroad to send supply to their plants and factories. The only way companies can do business there is to pay “taxes” to terrorists who control part of Lugansk Region. The question is why Ukrainian government let them do that? On May 13 2015 the head of Lugansk Region Hennadiy Moskal banned all traffic between Ukraine controlled part of Lugansk Region and the territory of so-called Lugansk People’s Republic, see our report here. According to his order only cyclists, pedestrians and international humanitarian organizations can enter occupied territory of Lugansk Region. Photos and video published by Taras Hryvul, soldier of 24th Brigade of Ukrainian Army. Below you can see the video recorder when the train was stopped. 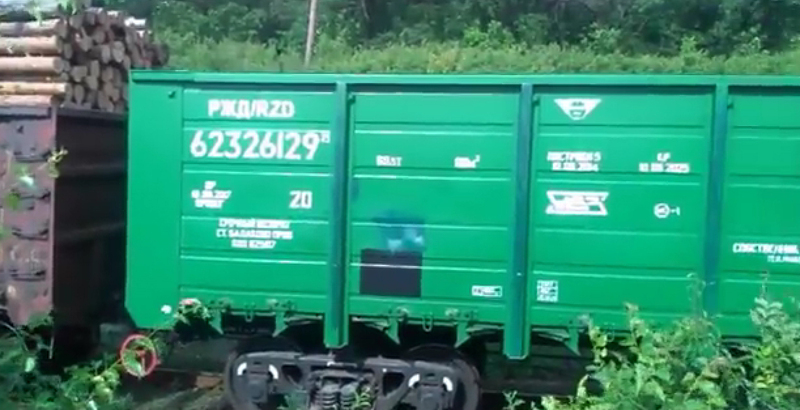 Russian company tried to get locomotive out Ukraine illegally. 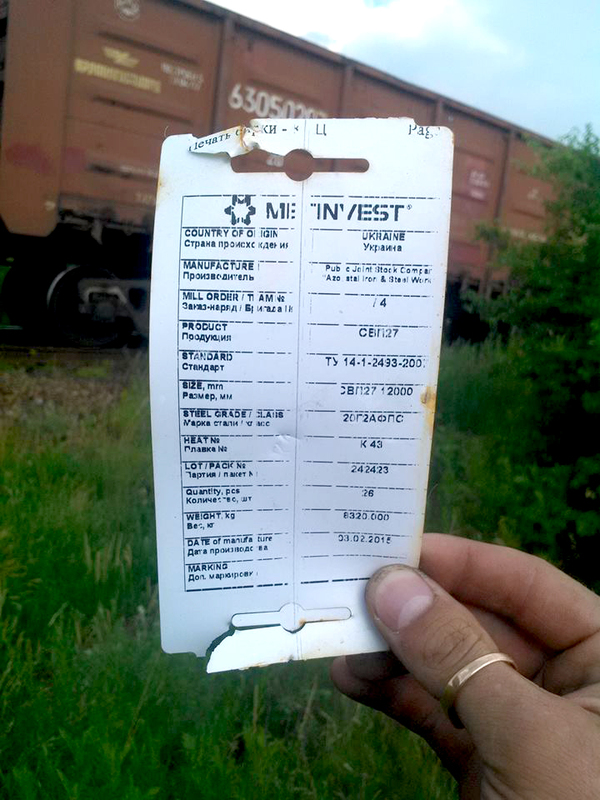 Security Services of Ukraine stopped locomotive that criminals were trying to take out of Lugansk Region to Russian Federation using fake documents. The locomotive was manufactured by “Luganskteplovoz” company www.luganskteplovoz.com. It was stopped at Ukrainian checkpoint located near Pereyizna train station. The criminals were trying to take the locomotive from the placed where it was stored on temporary occupied territory and they planned to deliver it to the client who ordered it to Russia. 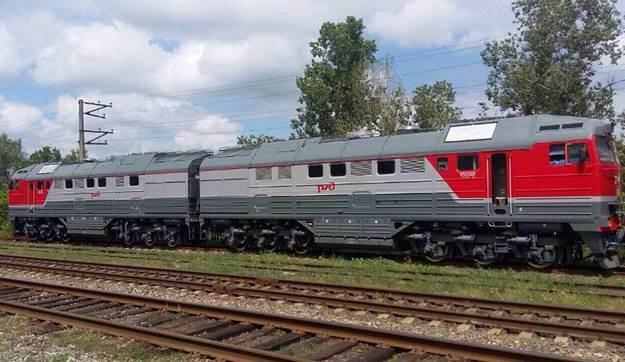 In fake documents that they had with them it says that the price of the locomotive is 80 million Russian rubles (about 1.5 million USD), but the market price is about 4 times more, about 6 million USD. Security Service investigators found out that money for the locomotive would arrive at the account of “Luganskteplovoz” company owned by Russian “Transmashholding” corporation. Lugansk company still hasn’t registered on the territory controlled by Ukrainian authorities and they pay “taxes” to terrorists of so-called Lugansk People’s Republic.